In partnerships with local, state, and national organizations, the University of Oregon extends the impact of research and academic endeavors to communities across the state and around the world. 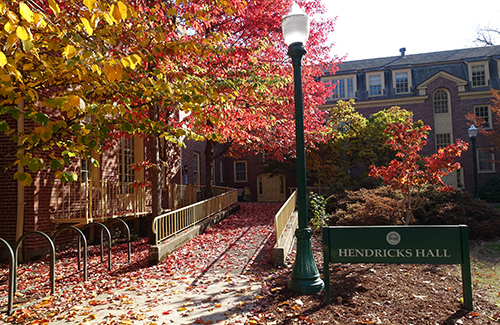 Research at the University of Oregon encompasses thousands of scholarly, scientific, and creative endeavors that go beyond the classroom to connect with cultures and traditions, past and present, to enhance scholarly work on campus. Each of the organizations below play a vital role in retaining knowledge and creating innovative practices to shape today’s culture and society. 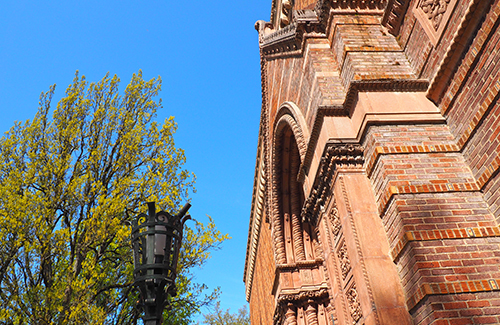 The only accredited academic art museum in Oregon, the Jordan Schnitzer Museum of Art is one of the nation’s top teaching museums. Its collections, programs, and staff expertise support faculty and student research and pedagogy across campus and throughout the state. 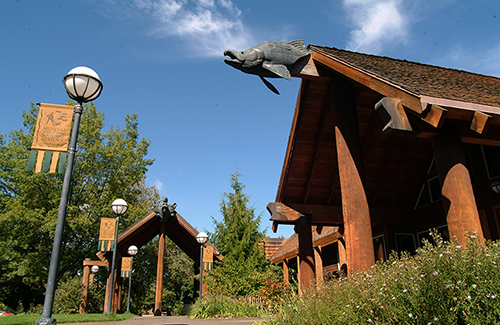 Its educational, cultural, and social activities build access and inclusion for Oregon residents and visitors. The museum presents temporary exhibitions and permanent collections galleries featuring art from the Americas, Europe, and Asia, from ancient to contemporary times. 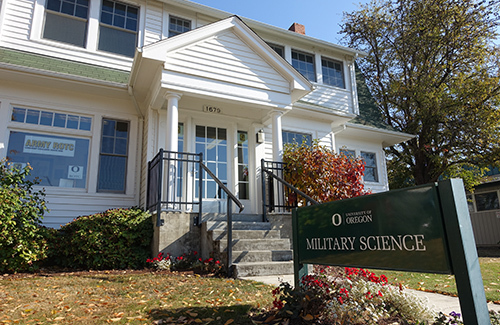 For more information, please go to jsma.uoregon.edu. Ranked among the top university-based museums in the country, the Museum of Natural and Cultural History (MNCH) links interdisciplinary research and teaching at the University of Oregon with award-winning, science-based public programs and exhibits. Whether it’s archaeology, history, diverse world cultures, or the natural sciences, MNCH serves as Oregon's official repository for paleontological and anthropological collections housing research collections from around the world. Each year, UO courses from a wide range of disciplines use the museum's exhibits and collections to complement classroom learning. To see more, visit natural-history.uoregon.edu. The Northwest Indian Language Institute (NILI) seeks to strengthen language revitalization efforts through collaborative projects with tribal, academic, and community partners. NILI is known for culture place-based learning and teaching; language proficiency benchmarks and assessment; technology in language teaching; linguistic documentation; and research on language and culture as a foundation of wellness. Originally created as an answer to tribal requests for teacher training, NILI's nationally and internationally recognized research is grounded in collaborative experience with an eye toward practical applications for communities and individuals. For more information, visit nili.uoregon.edu. 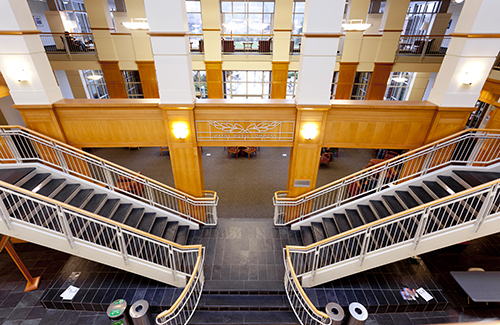 The Wayne Morse Center for Law and Politics encourages civic engagement and inspires enlightened dialogue by bringing students, scholars, activists, policymakers, and communities together to discuss issues affecting Oregon, our nation, and the world. The center trains future public leaders to reach beyond partisan labels and conflicts to encourage fresh thinking and effective solutions to public problems. It carries on the fighting spirit and political independence of Oregon’s Senator Wayne Morse by promoting education and research to advance justice and democracy. To learn more, visit waynemorsecenter.uoregon.edu. The Center for Latino/a and Latin American Studies (CLLAS) serves as a hub for interdisciplinary and collaborative research and creative work focusing on the study of Latin America and U.S. Latino/a populations. CLLAS cultivates intellectual community, student outreach, and the production of knowledge through its integration of research, student experiential learning, and community engagement. CLLAS offers robust programming connecting the university with questions affecting Latino/a and Latin American populations in Oregon and the Americas. 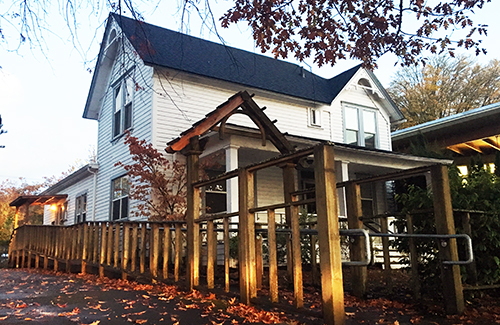 The center serves as an integral part of the UO’s strategy to recruit, retain, and foster relationships within a diverse and energized group of students, faculty, staff, and community members. Visit cllas.uoregon.edu to learn more. The Labor Education and Research Center (LERC) is committed to ensuring that workers have a strong voice in shaping the programs and policies that affect the lives of working people in Oregon. LERC offers workshops and customized trainings in representation skills, effective communication, building inclusive organizations, labor history, political economy, and the law. Academics, unions, government agencies, community organizations, and elected officials have used LERC research and reports in developing policies and programs that address the needs of working Oregonians. Through these programs, LERC works to create a strong and vital labor movement that protects workers’ rights. 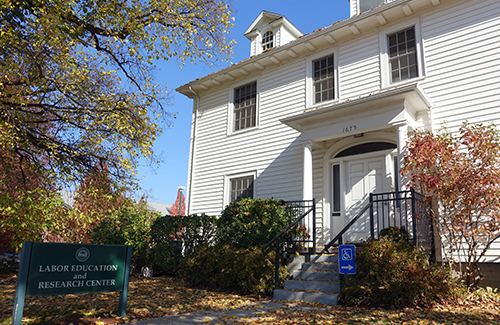 Visit lerc.uoregon.edu for more information. The Department of Military Science offers curriculum designed to provide opportunities to learn leadership styles, communication skills, and professional military ethic. Courses deliver a broad knowledge on the historical role, organization and structure of the army, as well as an understanding of American military history and leadership principles. Upper division courses are open to contracted ROTC cadets pursuing commissions as officers in the United States Army while lower division courses are open to all students. To learn more, visit rotc.uoregon.edu.